A broken drain field poses a serious health risk. Count on our team to keep yours in good repair. The two main components of your septic system are the tank itself and the drain field. 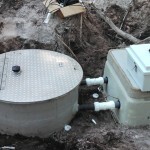 The septic tank is the receptacle where wastewater from your drains and pipes separates into solids, which remain in the tank to be broken down by bacteria, and liquids, which flow on into the drain field. From the drain field, the liquid is slowly released back into the soil and groundwater. Water from the drain field has already been filtered by your septic tank, but will undergo further filtration in the drain field’s many gravel filters and perforated pipes. This minimizes the potential effects of graywater as it seeps safely back into the ground. Drain fields that break down or become damaged can pose serious health risks to you and your family. 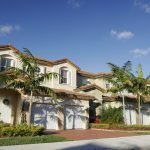 Signs that there’s a problem with your drain field include foul odors emanating from the area, the grass around your septic tank becoming greener than the rest of your lawn, or water pooling around the field. 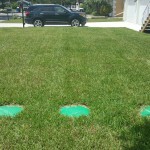 If you notice any of these signs, it’s time to call us at Tampa Septic to have a look. 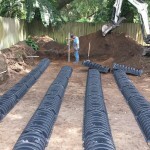 We at Tampa Septic are proud to serve the Brandon, Florida community, and we have years of experience dealing with all types of drain fields and drain field malfunctions. Our expert technicians can deal with any drain field emergency or help you keep your septic system in good working order through routine inspections and maintenance of drain fields. 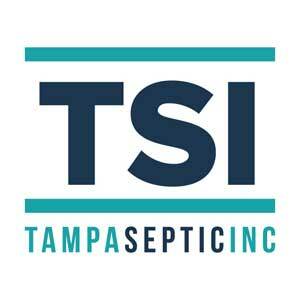 If you want to keep your septic system operating in top condition, call us at Tampa Septic today to schedule an inspection.